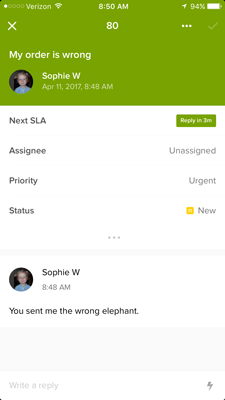 The Zendesk Support mobile app is designed to quickly triage and address your support tickets. 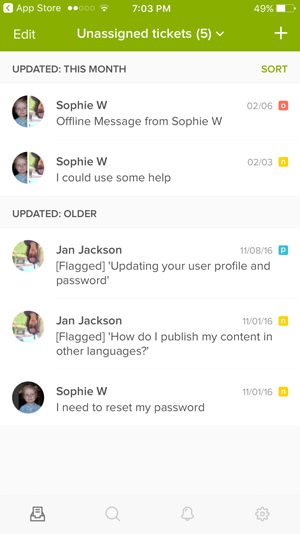 You can access up to 12 global and eight personal views from the Zendesk Support mobile app. 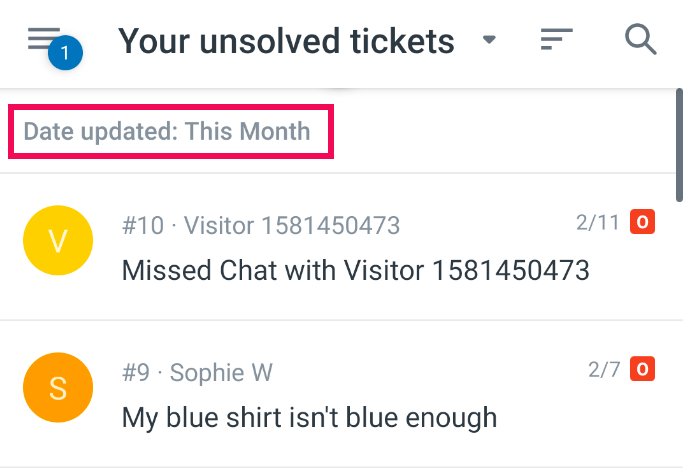 Views can be found and managed through the Tickets screen. Tap the current view header at the top of the screen. Scroll through the list to locate the view you want to display. Tap the view to open it on the screen. iOS: Tap the top-most sorting group. 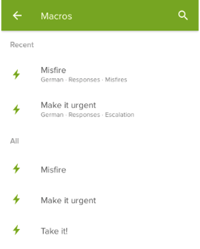 Android: Tap the Sort icon ( ) in the view header. Tap the sort option you want to use. 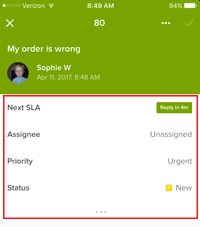 To change the sort order, tap the top-most sorting group or sort icon again, and select Ascending/Up arrow or Descending/Down arrow. 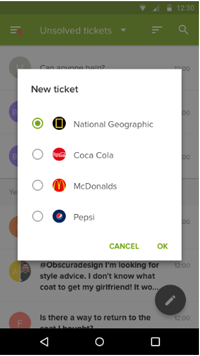 You can access your tickets in the new Zendesk Support mobile app. Which tickets you see, and how you interact with them, is determined by the permissions applied to your account. 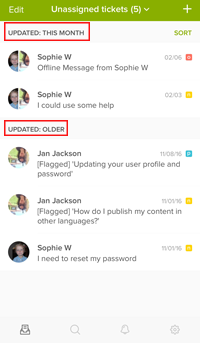 See Understanding Guide roles and setting permissions. You can open tickets to view and update them, and swipe through the tickets in your current view. 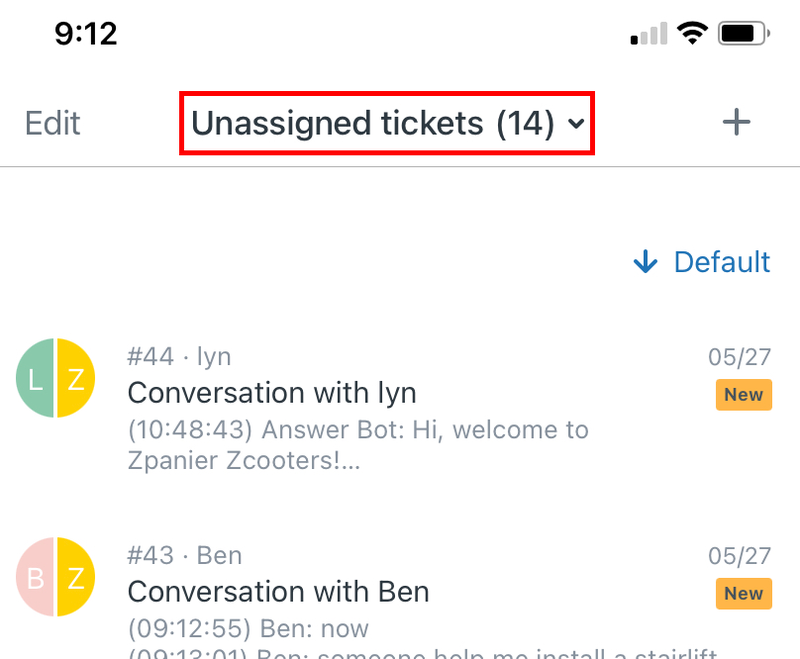 If rich text or markdown formatting is enabled for your account, that formatting (including inline images, and active phone numbers and links) is applied in the displayed ticket. 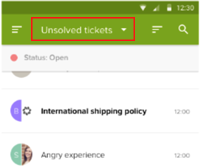 Swipe left to see subsequent tickets in the current view, or swipe right to see previous tickets in the current view. iOS users: Tap the X in the upper-left of the screen ( ). Note: : The check mark in the upper-right of the screen indicates the number of changes you've made to the ticket. Make sure you tap the check mark to submit the changes before leaving the ticket ( ). Android users: Tap the back arrow in the upper-left of the screen ( ). Note: : The paper airplane in the upper-right of the screen indicates the number of changes you've made to the ticket. Make sure you tap it to submit the changes before leaving the ticket ( ). Due to space constraints, only the most frequently used ticket properties are shown. However, you can open the full list of ticket properties if needed. 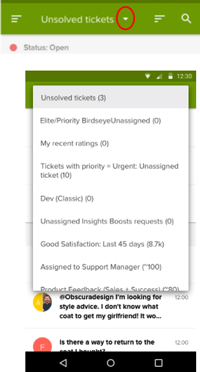 Note: Only customers on the Professional or Enterprise Support plans can use service level agreements in their tickets. 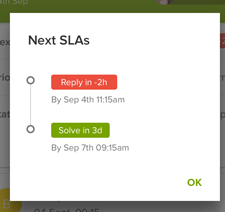 For information on using SLAs on your mobile device, see Viewing service level agreements. Open the ticket, and locate the property you want to update. Tap the property you want to update. Tap the new value for the property. The property is updated, and you're returned to the previous screen. If you selected a property from the All properties screen, tap the back arrow to return to the ticket. When you're done making your updates, tap the Submit changes icon in the upper-right of the screen. The steps for adding a comment to a ticket depends on your mobile device. 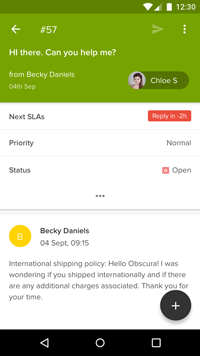 iOS users: Open the ticket and tap the Write a reply field at the bottom of the comments. Android users: Open the ticket and either tap into the reply box at the bottom of the comments, or tap the Comment FAB ( ). Tap to select Public reply or Internal note. Enter your comment using your device's keyboard. (Optional) Tap the Macros icon or FAB to apply a macro. See Applying macros for information. Tap the Submit changes icon to post the comment. You can apply any of your macros to tickets on the mobile app. Open the ticket, and make any changes needed. iOS users: Tap the Macros icon , located in the reply box. Android users: Tap the Macros icon ( ), located in the reply box, or the Macros FAB ( ). Tap the macro in the displayed list. 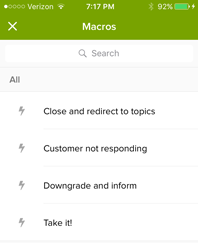 Scroll through the list to locate the macro, then tap to select it. Tap the Search box, or Search icon, and enter keywords to locate the macro. 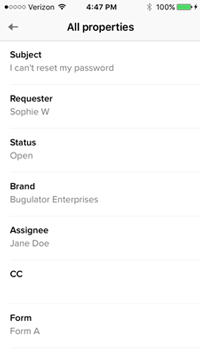 Tap to select any required actions for the macro, then tap the Submit changes icon ( or ) to apply the macro and return to the ticket. Make any other changes necessary, then tap the Submit changes icon ( or ) again to post the updates. 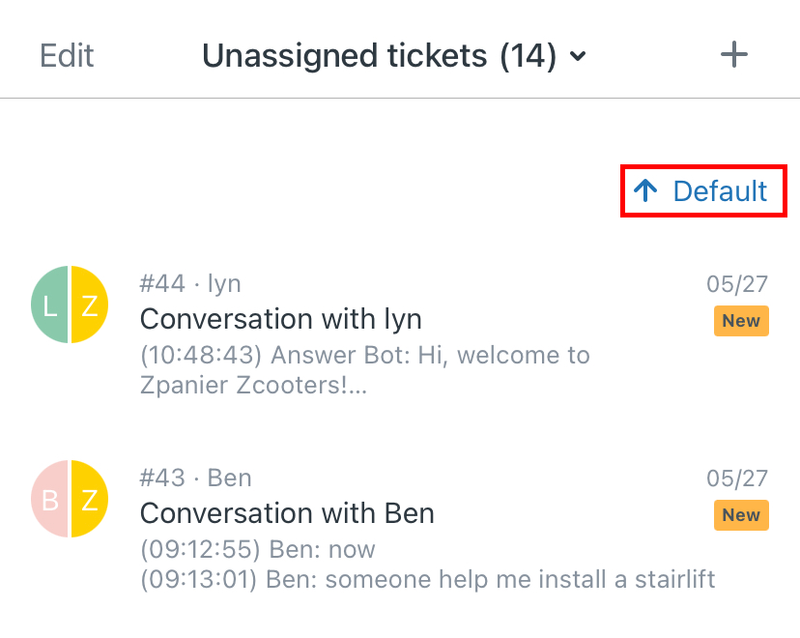 If you have permission to create tickets, you'll see the Create ticket icon on your screen. Tap the Create ticket icon to open the New ticket screen. If you have multiple brands, the multi-brand selector is displayed. Select a brand then tap the check mark (iOS), or OK (Android). Tap Subject and enter a title for the ticket, then tap Done. Tap Enter a description and add a short explanation of the problem. Note: You cannot submit the ticket unless the Subject and Description fields are filled out. 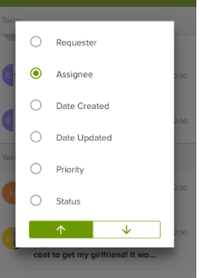 Tap No requester and select a user from the list to designate as the ticket requester. If you don't choose another user, you will be set as the requester. You can add a new user by entering their email address. Tap the remaining property fields to enter information as needed. Add an attachment if necessary. Tap the Submit ticket icon to save and submit the ticket. 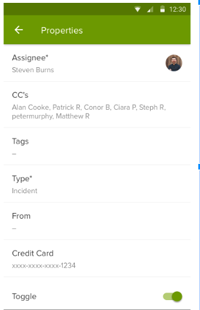 You can view and download attachments, or add attachments to new tickets and comments. 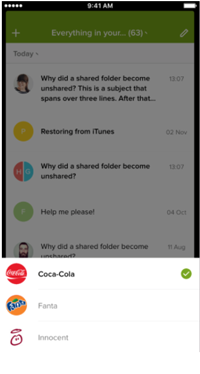 If a ticket has one or more attachments in it, they're displayed below the comment. iOS users can scroll through inline attachments vertically in the comment; Android users can swipe to move through the attachments list. You can open an attachment by tapping it. iOS users: The attachment opens in a new window. Android users: If you do not have a default viewer set, you'll be asked to choose a method to open it. Both Android and iOS allow you to attach images from the camera and gallery to a ticket. Additionally, Android users can attach other file types. Tap in the reply box to display the attachment options. Tap the type of attachment you want to include. Tap the image icon to open the device's image gallery. (Android only) Tap the file icon to browse to a file. Finish adding your information and submit the ticket. 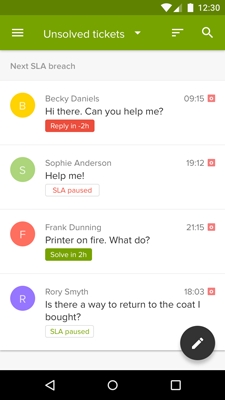 Voicemails and recordings of voice calls can be played back in the app. Secure recordings are supported. If a transcript is available, it is displayed along with the call metadata. To play the recording or voice mail, tap the Play button on the audio stream. 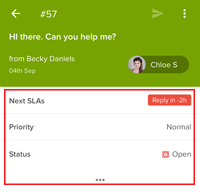 If you are on the Professional or Enterprise Support plan, and you use the service level agreements (SLAs) feature, you'll see the current SLA in your ticket properties. For general information on service level agreements, see Viewing and understanding SLA targets. You can open a ticket search by tapping the Search icon. For iOS users, the icon is found in the tab bar. For Android users, the icon is in both the header, and in the left navigation menu. For instance, a search for Status:Open will return only tickets in an open status. Recent searches are stored and displayed until you sign out of the app. iOS users can clear searches manually by tapping Clear recent searches at the bottom of the list.